Written before he had become one of the nation's most prolific playwrights, yet as ever focusing upon his hallmark theme of domestic dysfunctionality, How The Other Half Loves is Alan Ayckbourn's 1969 effort, viewed through the prism of well-performed comedy. 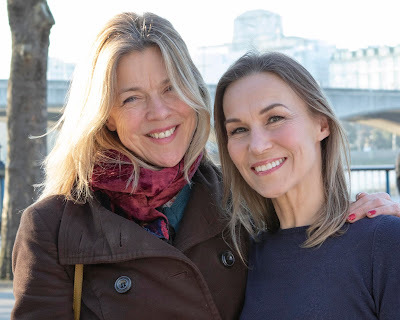 Fuelled by differences in class and alongside marital infidelity that spans the social strata, the young and argumentative Teresa and Bob Philips (Tamzin Outhwaite and Jason Merrells) live modestly whilst the older Frank and Fiona Foster (Nicholas Le Prevost and Jenny Seagrove) enjoy a more privileged lifestyle. This being Ayckbourn however, Bob is having an affair with Fiona and thrown into the mix are the dull and dim Featherstones (William and Mary played by Matthew Cottle and Gillian Wright respectively) who have no idea that they’re being used as scape goats to hide the sordid carryings on. For the most part the book is well thought out. Mistaken suspicions are cleverly managed to comical and catastrophic results, with occasional moments of perfectly timed slapstick only enhancing the humour. But while there's much energy on display, the ending disappoints, feeling a little weak and somewhat rushed and almost doing a disservice to the preceding hilarity. The lengthy curtain drops between scene changes don't help, with the frequent halts dissipating dramatic momentum. Le Prevost, Wright and Cottle are all on top form. Le Prevost’s embodiment of a Blithering older gentleman with a constant misunderstanding of what’s been said to him brings the audience to its knees with roaring hilarity. He shows a believable stereotype that continues to surprise and is extremely enjoyable to watch. Wright’s Mary is shy and understated, with a masterclass performance in how to use pauses to full effect and a wonderful collaboration on stage with Cottle, who embodies a warm awkwardness on stage that one could watch for hours. 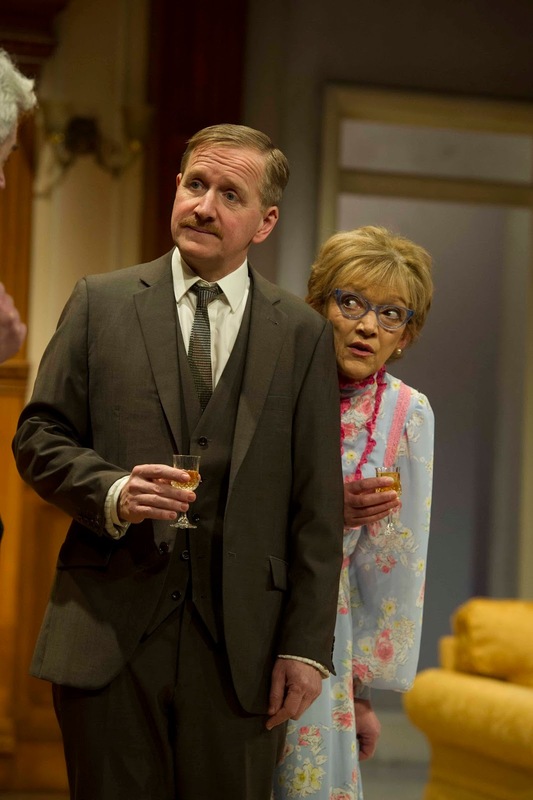 Alan Strachan's direction is choreographed to perfection with pinpoint timing and movement, delivering an Ayckbourn revival that is fun to watch and which refreshingly restores some old school charm to the theatre.